A ground-breaking study by the CSIR and the University of KwaZulu-Natal (UKZN) will see the irradiation pre-treatment of dissolving wood pulp reduce the amount of chemical reagents used in the viscose production process, saving the textile and fibre industries time and money. Dissolving wood pulp, also referred to as dissolving cellulose, is a high-grade chemical pulp that contains more than 90% cellulose content. This type of pulp is commonly used for the production of valuable cellulose derivatives such as viscose and rayon. However, the conversion of dissolving wood pulp to these high-value end products is limited due to the high crystalline structure of cellulose. X-ray studies have shown that 70-85% of the cellulose structure is composed of crystalline regions as a result of the inter- and intra-molecular hydrogen bonds, and van der Waals interactions within the cellulose molecular structure. Molecular interactions were discovered by Dutch scientist Johannes Diderik van der Waals. He noticed that molecules are sticky, like wet jelly beans. The phrase 'van der Waals interaction' has come to mean cohesive (attraction between like), adhesive (attraction between unlike) and/or repulsive forces between molecules. This phenomenon reduces the structural accessibility of cellulose to chemical reagents, thereby limiting its application in various industries. However, this accessibility can be improved by activating the cellulose. Activation refers to the use of physical, chemical and other forms of treatment methods to modify the structure of cellulose. This is achieved by the disruption of hydrogen bonds that hold the cellulose molecules together, thus creating pores within the tightly held cellulose fibril aggregates. In this study, ultrasound irradiation was used as an activation technique for dissolving wood pulp. This was followed by the structural characterisation and alkali dissolution of the activated pulp samples. 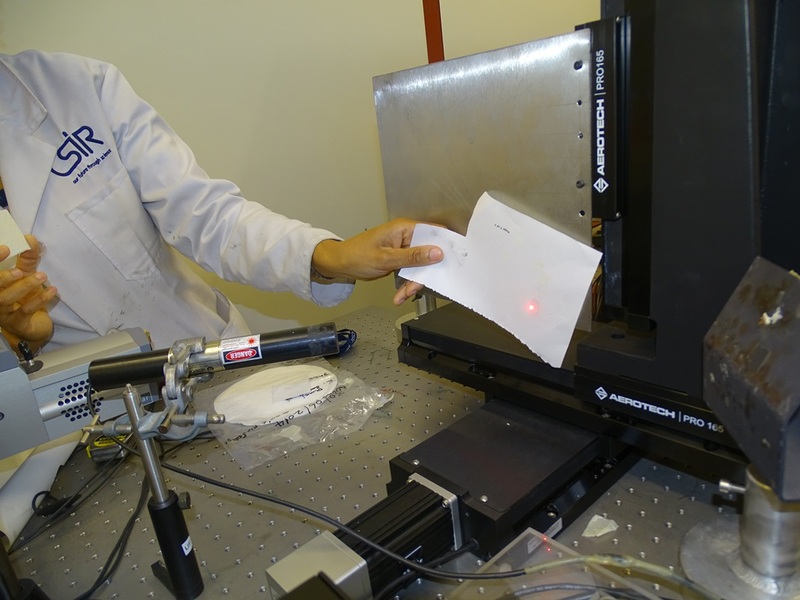 Morphological properties of the samples were analysed using the field emission gun -scanning electron microscope and the result showed peeling off and fibrillation of the fibre surfaces after the activation. Size exclusion chromatography with multi-angle light scattering analysis results show a slight shift in the molecular weight for ultrasonicated samples and a significant shift was observed for samples treated with alkali post ultrasonic activation. Conversion of cellulose I to cellulose II was observed using the nuclear magnetic resonance and was also confirmed by the change of the X-ray diffraction crystallinity index. Dissolving wood pulp is bleached wood pulp or cotton linters that have a high cellulose content. This pulp is manufactured for uses that require a high chemical purity, and particularly low hemicellulose content. Dissolving pulp is so named because it is not made into paper, but dissolved either in a solvent or by derivatisation into a homogeneous solution, which makes it completely chemically accessible and removes any remaining fibrous structure. Once dissolved, it can be spun into textile fibres (viscose or Lyocell), or chemically reacted to produce derivatised celluloses.